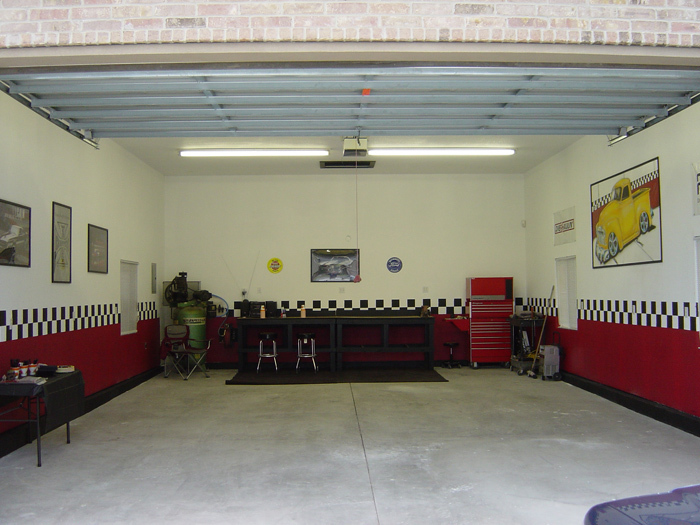 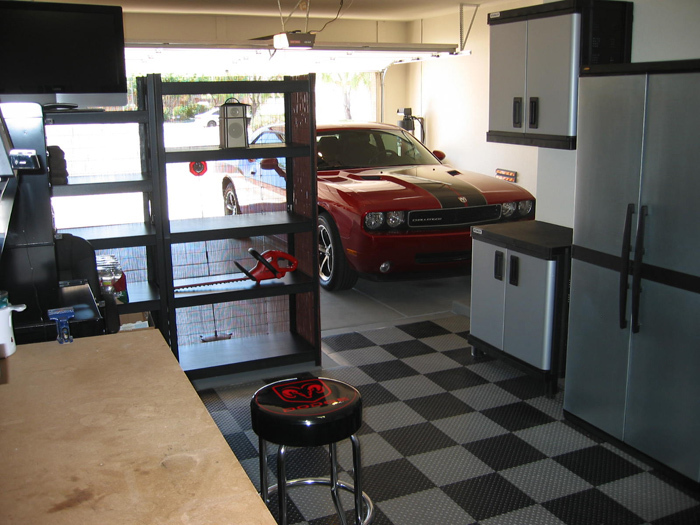 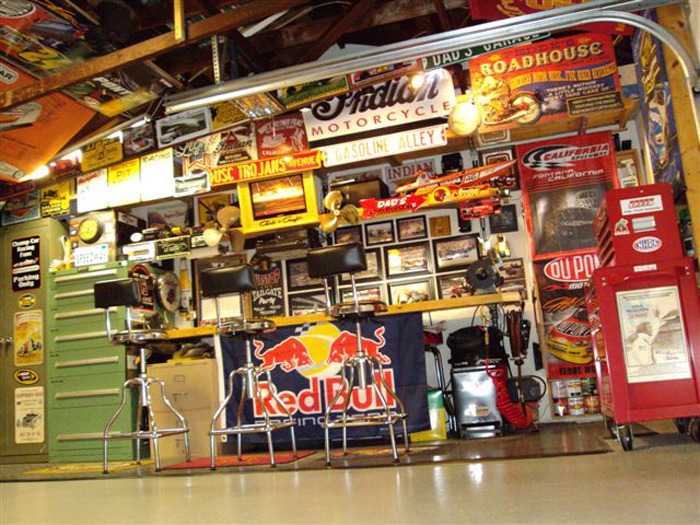 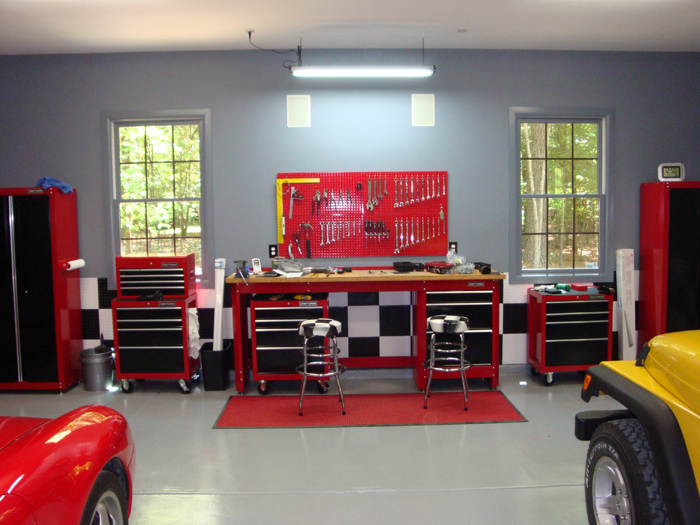 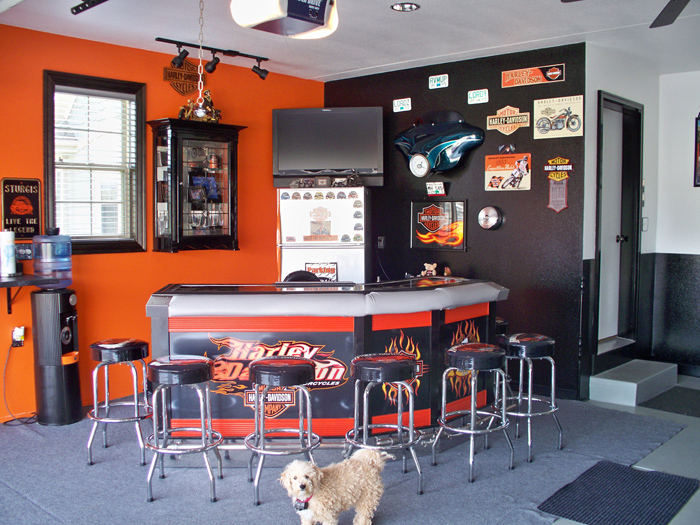 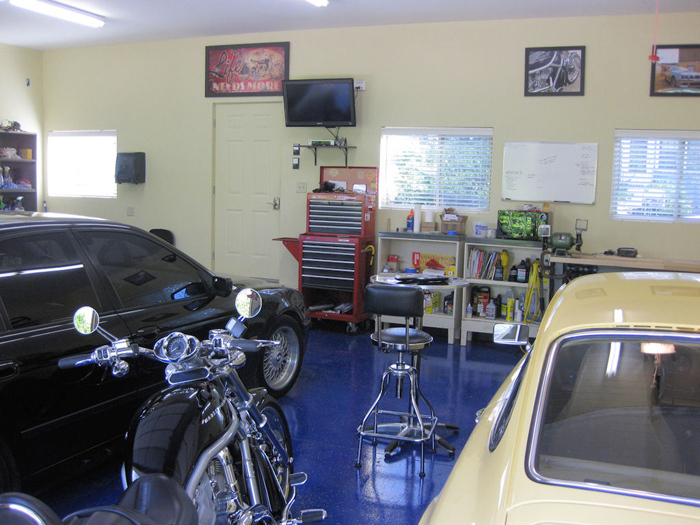 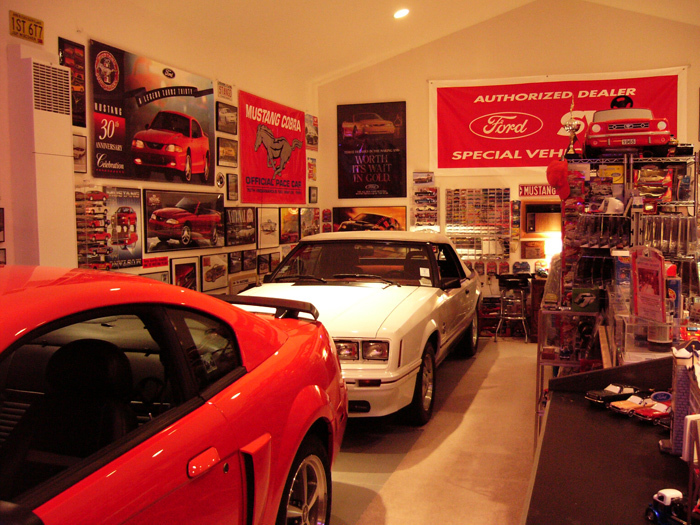 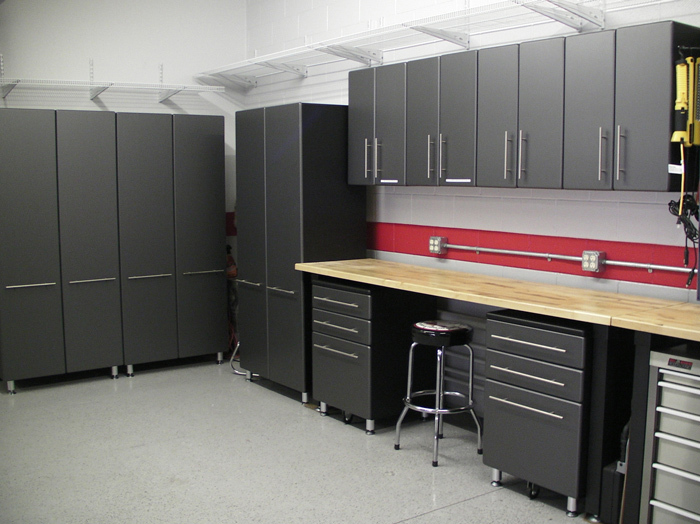 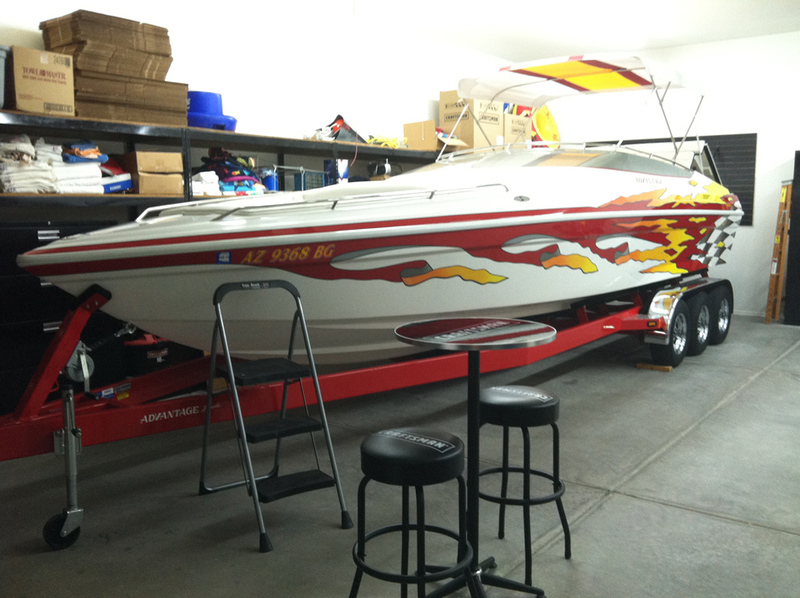 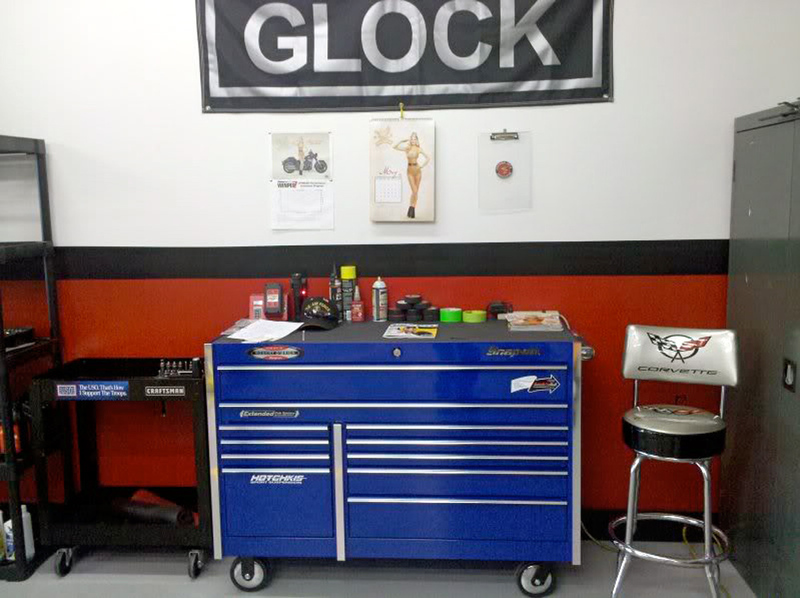 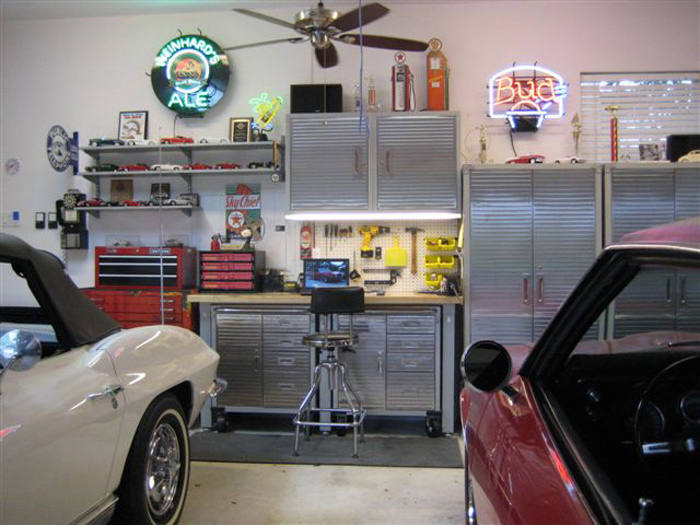 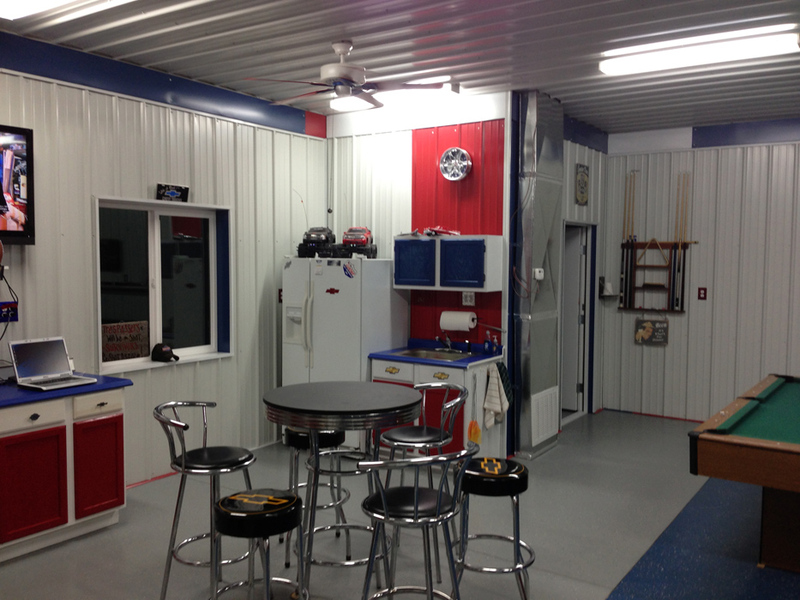 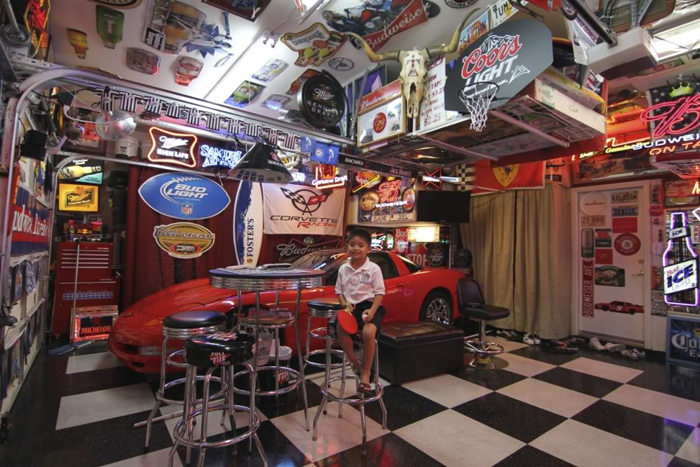 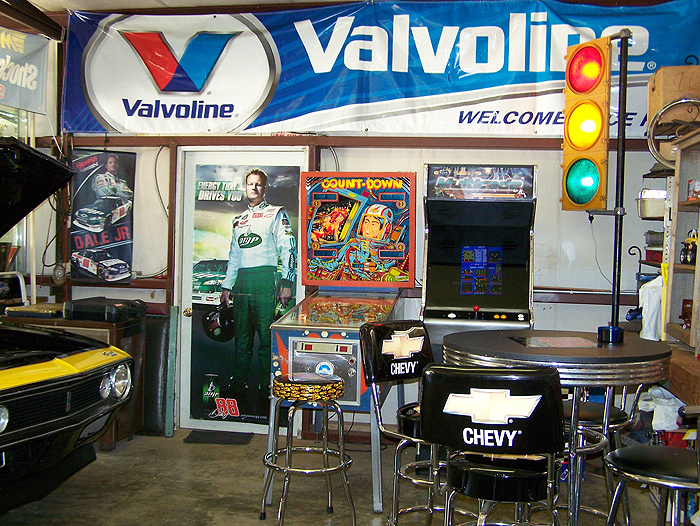 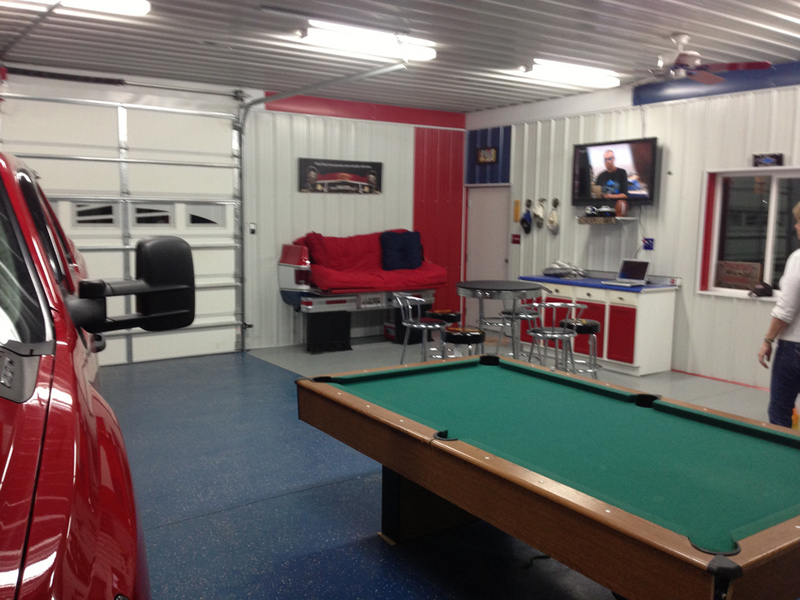 This is a great way to add a compact seating area in your garage or shop. 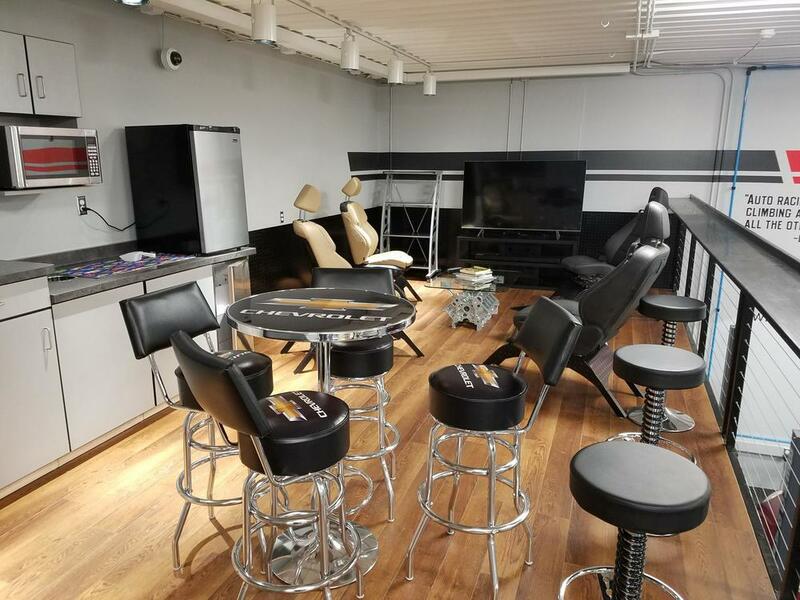 These two chairs have a red checkered padded back and bottom so you can chill out with a frosty beverage in comfort and style. 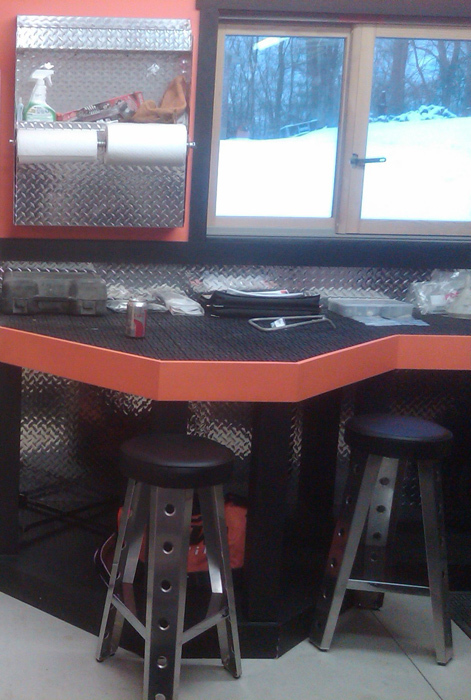 The compact table makes for a perfect spot to rest your beverage and snack. 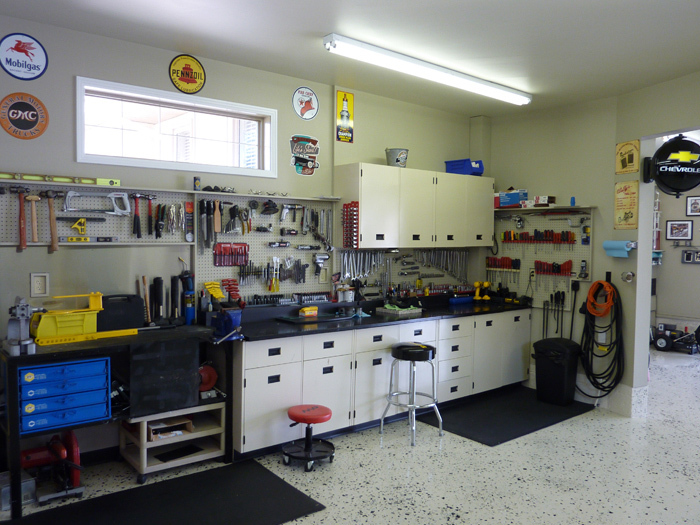 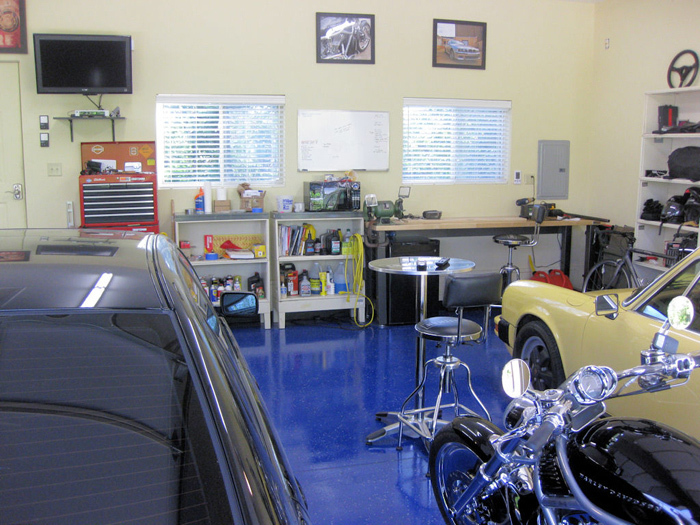 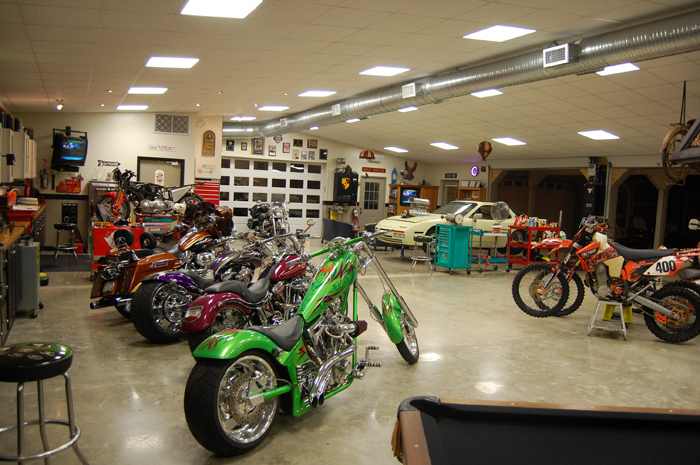 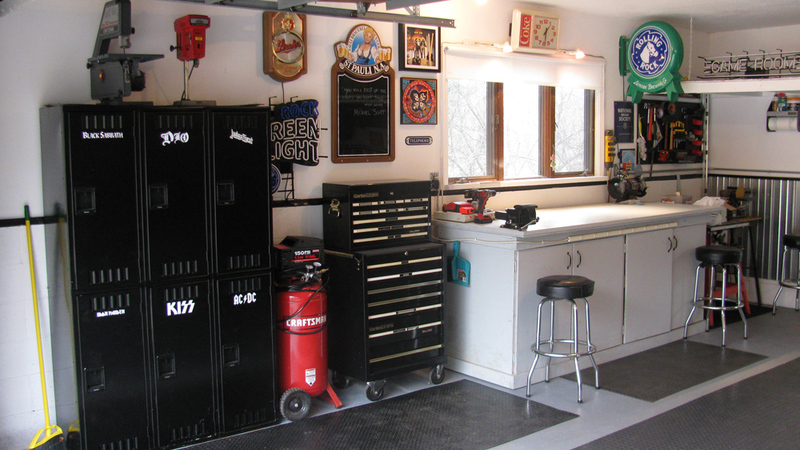 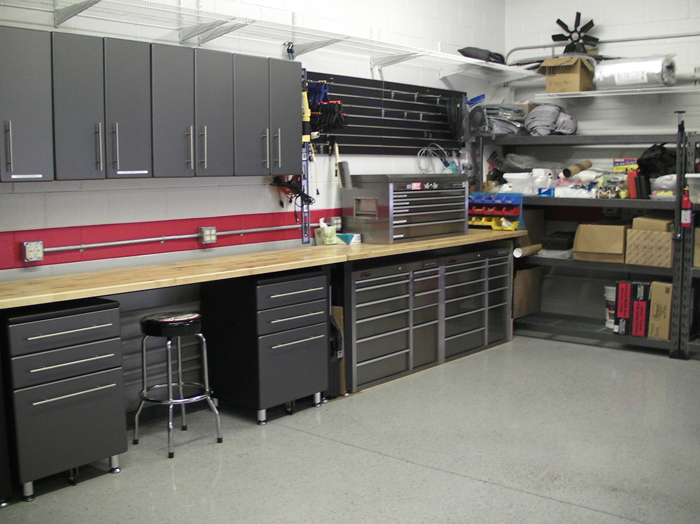 Now when you have people over to your garage, they can enjoy a place to sit while they stare at all your shiny tools and tell their over exaggerated stories. 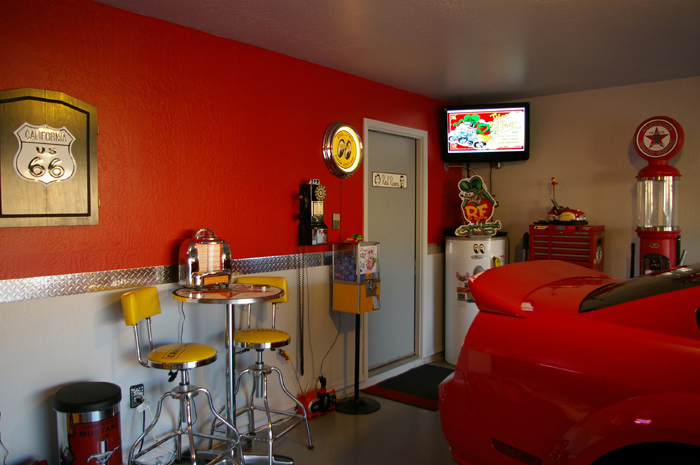 This car guy furniture set includes this table and two of these chairs also makes for a great gift for anyone who hangs out in the garage.